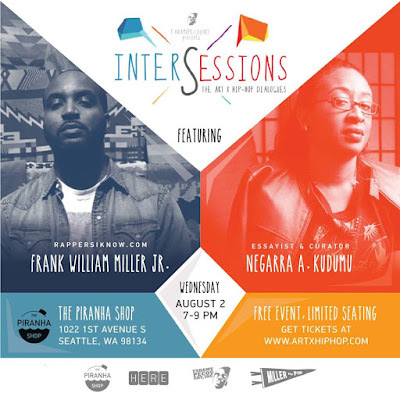 interSessions: The Art x Hip-Hop Dialogues™ is a series of curated conversations between figures from the arts community and the hip-hop community. 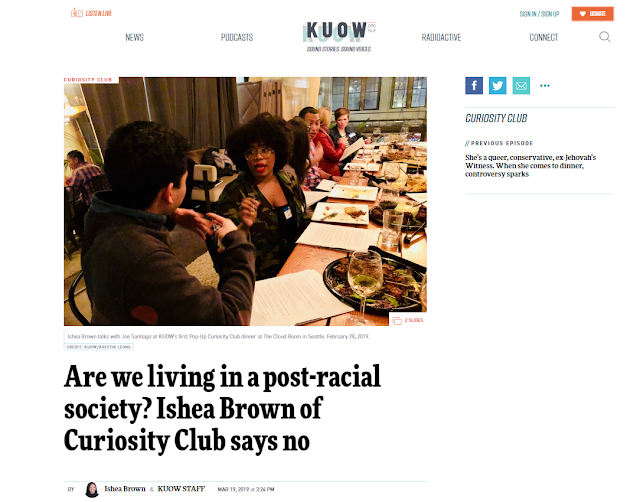 Each conversation – mediated by artist Fahamu Pecou – features notable figures speaking on a range of subjects related to intersectional experiences in the arts and entertainment and their impact on popular culture and society. interSessions™ considers the growing number of engagements between the worlds of hip-hop and fine art. The series is dedicated to interrogating art and hip-hop not as isolated encounters, but rather where they overlap, how they complement and enhance each other, and, ultimately, how in conversation they act together to transgress the status quo. 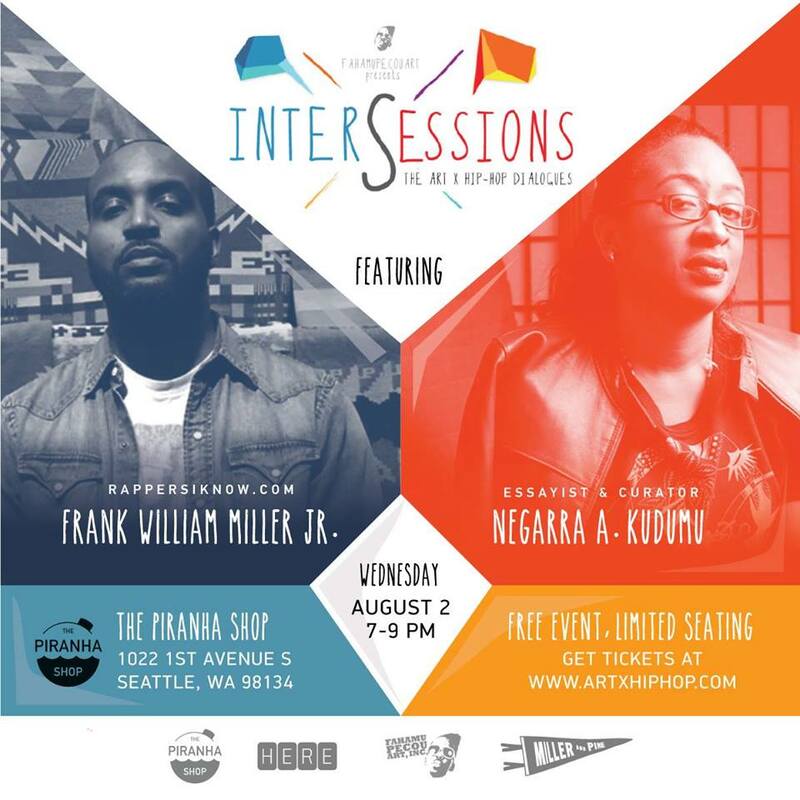 The event kicks off tomorrow night (8/2 @ 7p) with guests Negarra Akili and Frank William Miller Jr. @ The Piranha Shop in SoDo.